Arjun Chandok is an Analyst of TM Capital Corp. 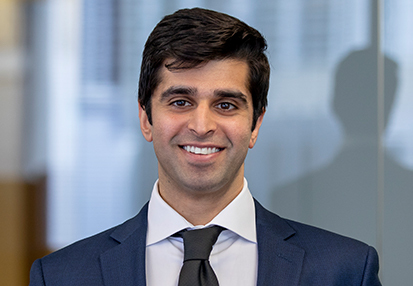 Prior to joining the firm, Arjun spent two years at Accenture Consulting working in strategy and operations. Before joining Accenture, Arjun interned with General Electric as part of their Energy Management practice. Arjun received a Bachelor of Science in Business Administration and a Master of Science in Information Systems and Operations Management with a concentration in Business Intelligence from the University of Florida. Arjun resides in the Midtown area of Atlanta. He enjoys travelling, trying new restaurants and spending time with his family and friends. Outside of work you can find him either planning his next adventure or watching his beloved Florida Gators. Arjun is originally from Fort Myers, Florida.